Presentation of our new patented system for the opening up to 1,25mt of lateral panels on all our lines : innovation, safety and easy cleaning. More information on our LinkedIn page. End of commissioning activities of Short-Cut Pasta Line at HASHEM FOODS, member of SAJEEB GROUP in BANGLADESH. Click on our LinkedIn page to see some photos of our work. Axor Ocrim, for more than 30 years, has been one of the leading companies in the engineering, manufacturing and installation of equipment for the Food industry. 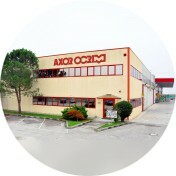 Axor Ocrim is located in Cento – Italy, in a modern production plant fitted with the most innovative machinery. Such equipment includes laser-cutting systems, machining centers, robotized and computerized welding machines fitted with CAM controls. 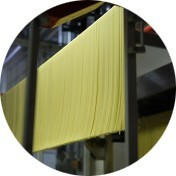 Axor Ocrim engineers, manufactures and installs Pasta Lines (Short-Cut, Long-Cut and Special Shapes Pasta), Couscous Lines, Instant Pasta Lines, Quick Cook Pasta Lines, Asiatic Noodle and Ramen Lines, Gluten Free Pasta Lines, Pellet and Snacks Dryer and Spare Parts for all the Pasta Plant. 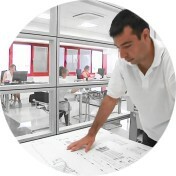 Axor Ocrim has installed over 150 lines and equipment all over the world, from Italy, all of Europe, North and South America, Africa, Asia and the Middle East.